We are thrilled to announce that The End by Fernanda Torres has won the prestigious Jabuti Award, Brazil’s biggest literary prize! 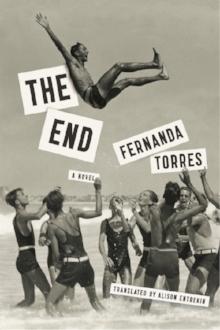 The End received the Jabuti Award for Brazilian Book Published Abroad, a new category that recognizes excellence in the translation and promotion of Brazilian literature internationally. A huge hit in Brazil, selling more than 150,000 copies, The End centers on five friends in Rio de Janeiro who, nearing the end of their lives, are left with memories—of parties, marriages, divorces, fixations, inhibitions, bad decisions—and the physical indignities of aging. Alison Entrekin’s translation masterfully captures Torres’ “agile hand at establishing voice, pacing, and tone”(Foreword Reviews), and The End was included among the Best Covers of 2017 by The New York Times Book Review. This debut novel continues to impress and draw readers with its timely insight and tragically humorous exploration of friendship, aging, and death. We’re excited to publish Fernanda Torres’ next novel in Summer 2019, Glory and its Litany of Horrors. Torres turns her acerbic wit and sharp psychological scrutiny to the world of acting in this wise and funny send-up of a generation that witnessed their ideas of art fall into the hands of the market, and their ideas of the future proven to be illusory as theater.